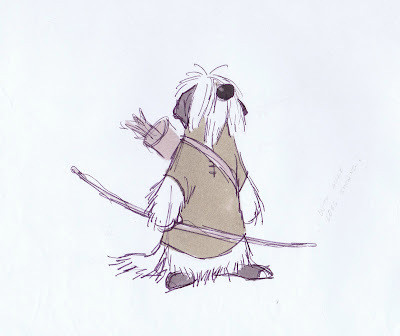 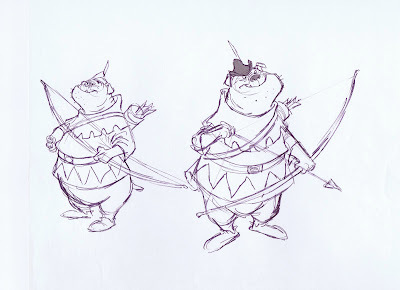 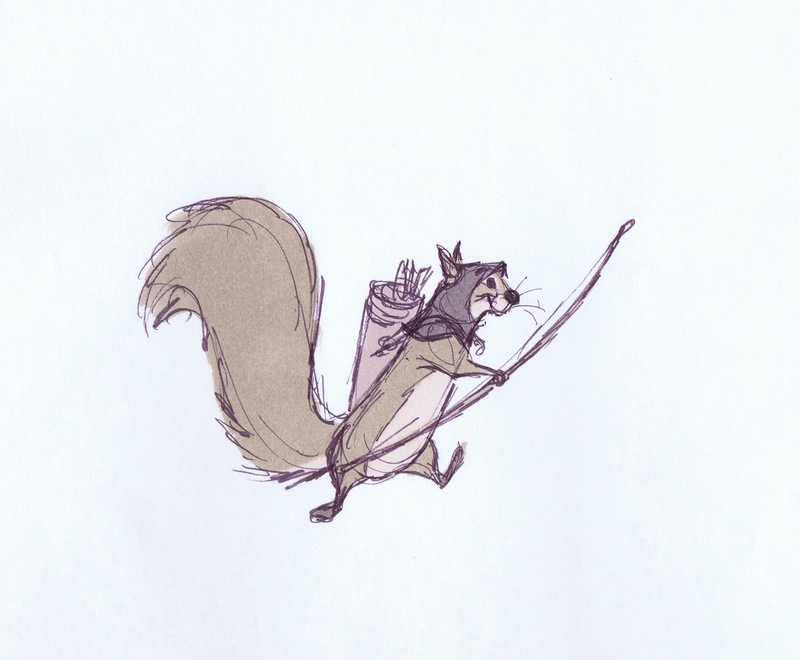 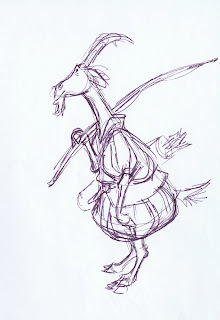 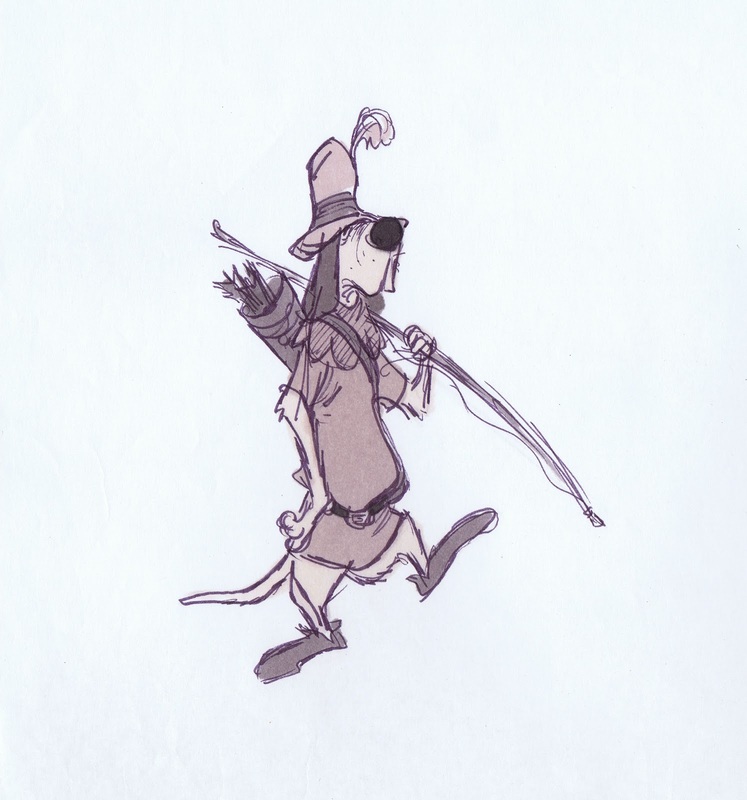 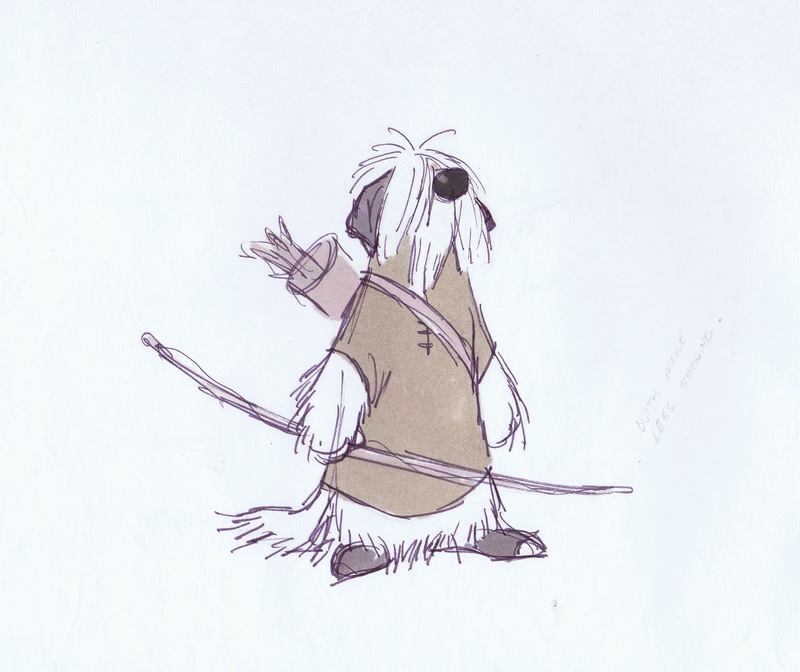 These wonderful character studies for the movie Robin Hood were drawn by Milt Kahl. 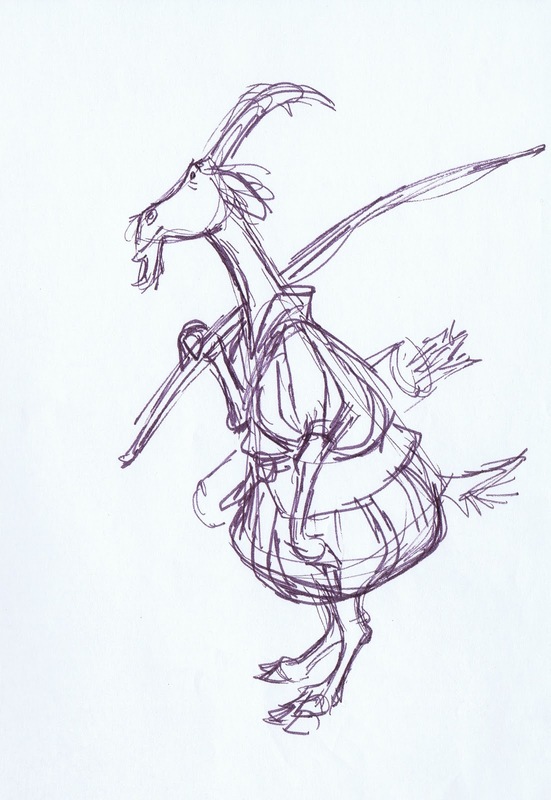 Ken Anderson again provided rough sketches first, and Milt refined the designs. 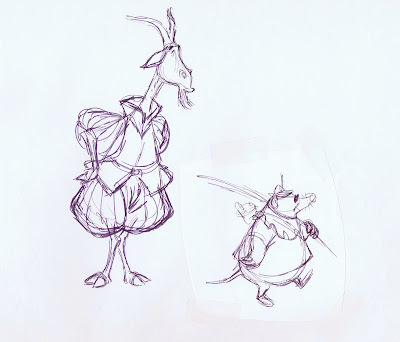 To me these are among the best looking characters for any Disney film from the Xerox era. The draughtsmanship and charm in these knock me out. Every one of these personalities has star qualities, something I call magnetism. 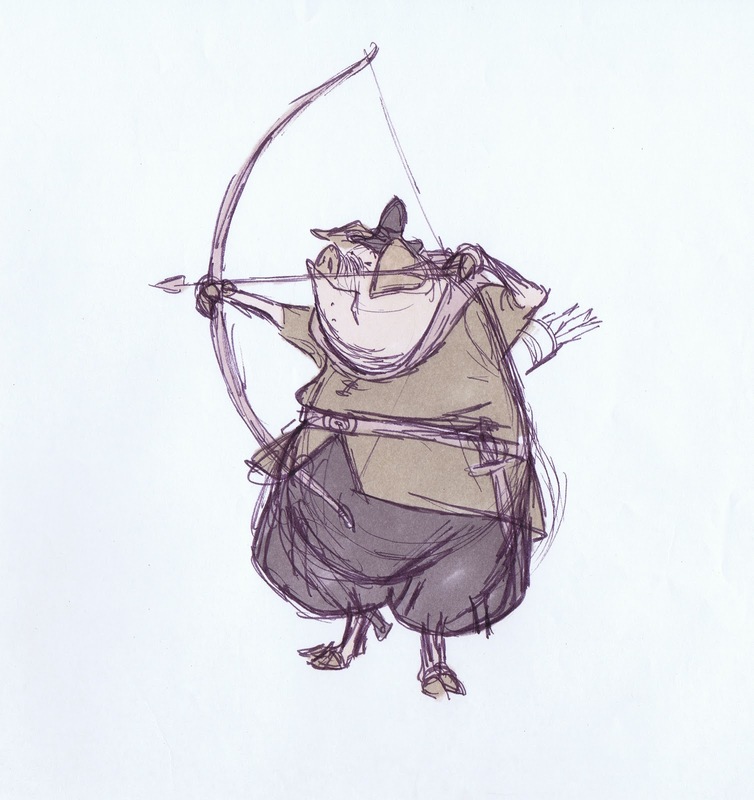 You can't take your eyes off them. 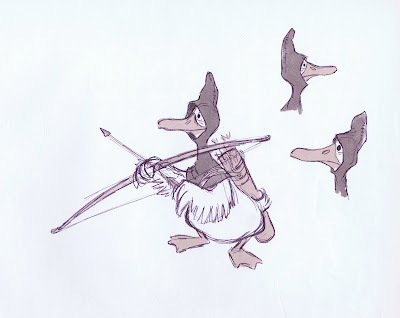 And the way Milt is able to draw wings, pigs' feet or dogs' paws functioning as human hands is astonishing. 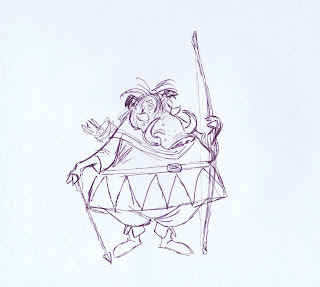 "Every one of Milt's drawings is a triumph of brain power".